Beautylish is an online cosmetics company based in San Fransisco. Each year they uphold the Japanese fukubukuro tradition. 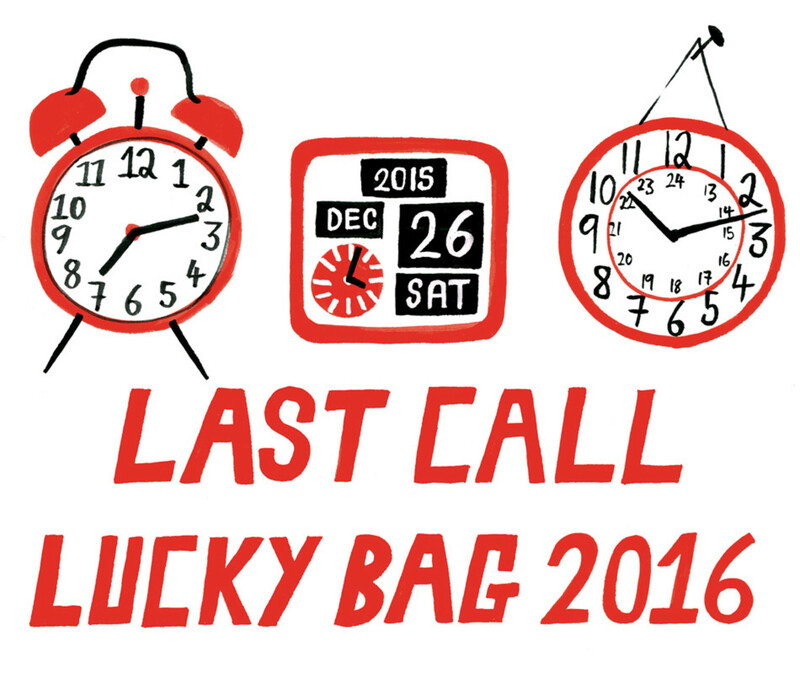 Fukubukuro are 'Lucky Bags' that retailers sell at New Year. The bags contain a surprise set of products, often worth much more than the retail price of the bag contents. 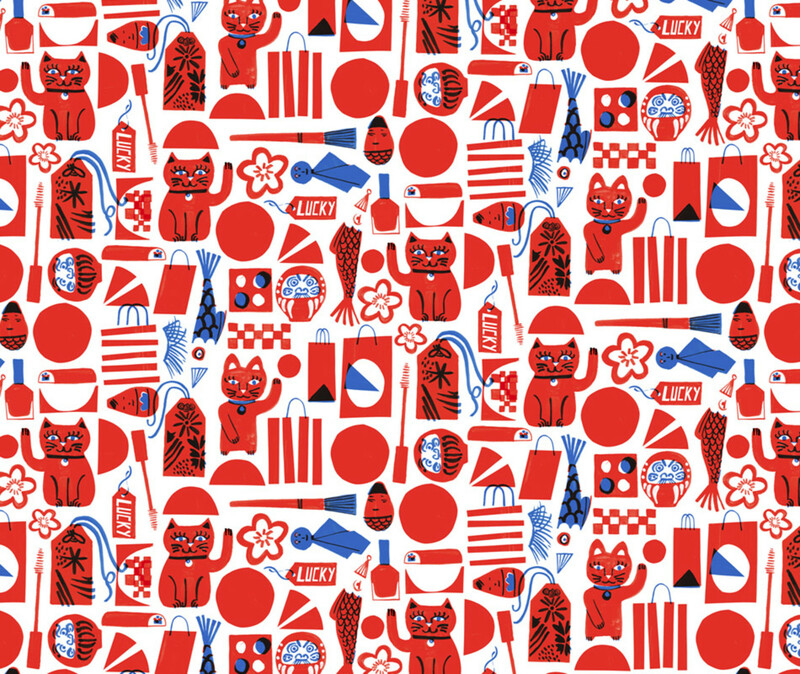 A pattern was created based on Japanese lucky images and objects. 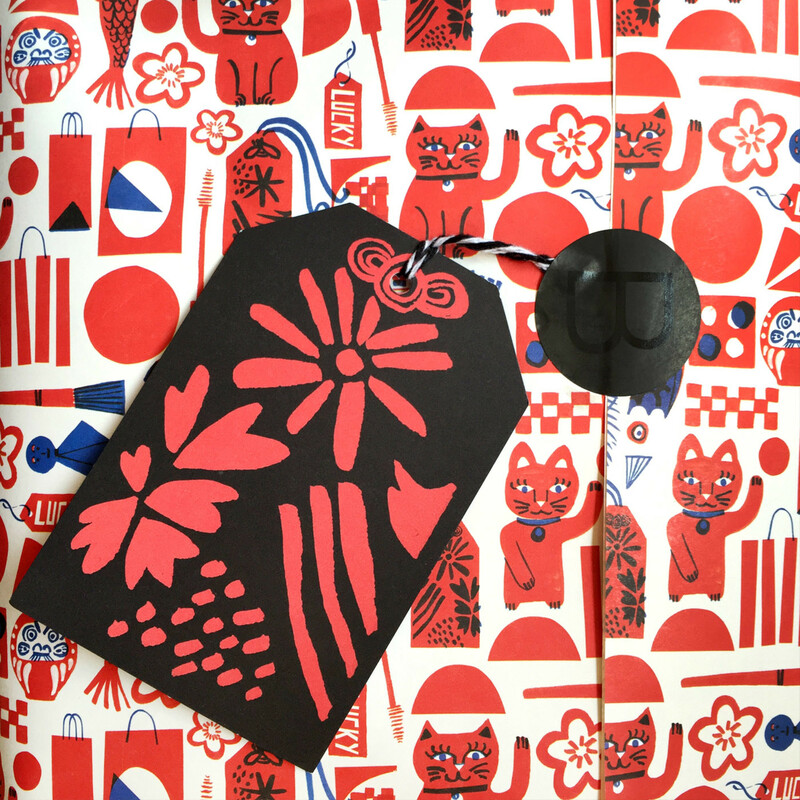 This was used to package the contents of the lucky bag, as a large sheet of beautifully printed wrapping paper and accompanying gift tag. Additional illustrations were used in the announcement and countdown to the release date of the Lucky Bags.